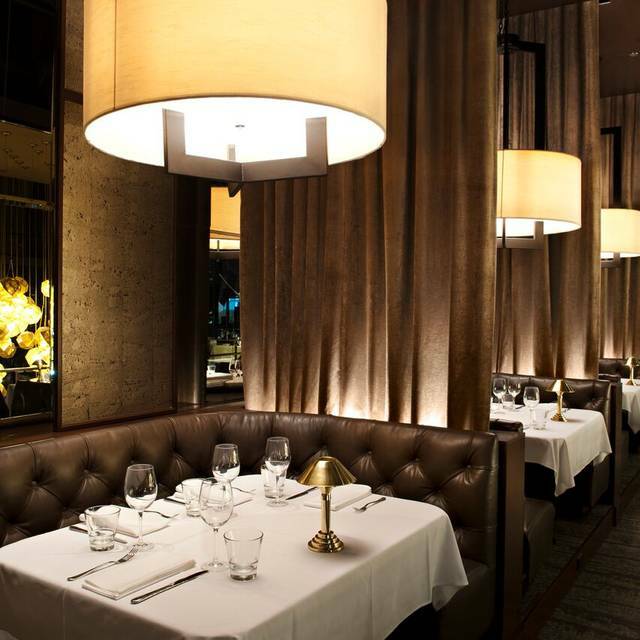 You must make reservations at least 5 minutes in advance of the time at Black & Blue Steakhouse. We don't cater events, we create experiences! 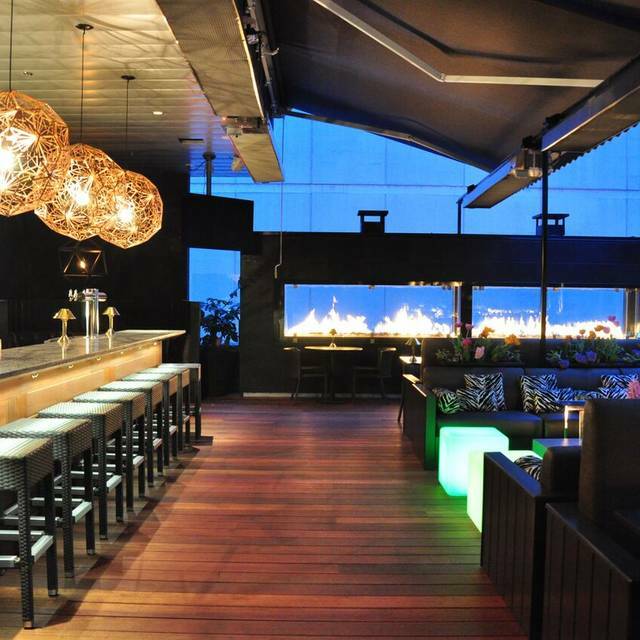 Contact us to discuss how we can create the ultimate experience for your group. 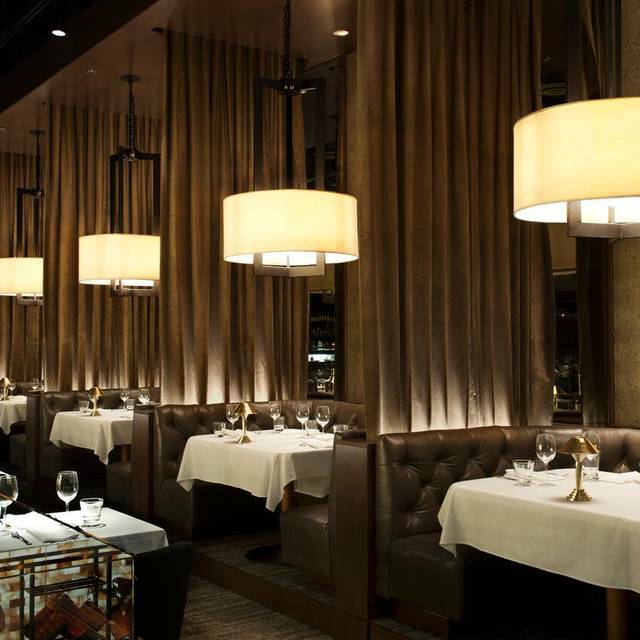 Black+Blue is Glowbal Group's most expansive restaurant to-date. Black+Blue offers the largest selection of prime cuts of steaks - from Wagyu to US and Canadian Prime, with a hand selection of exclusive boutique products. Along with meat selections, guests can also enjoy featured fish and shellfish. 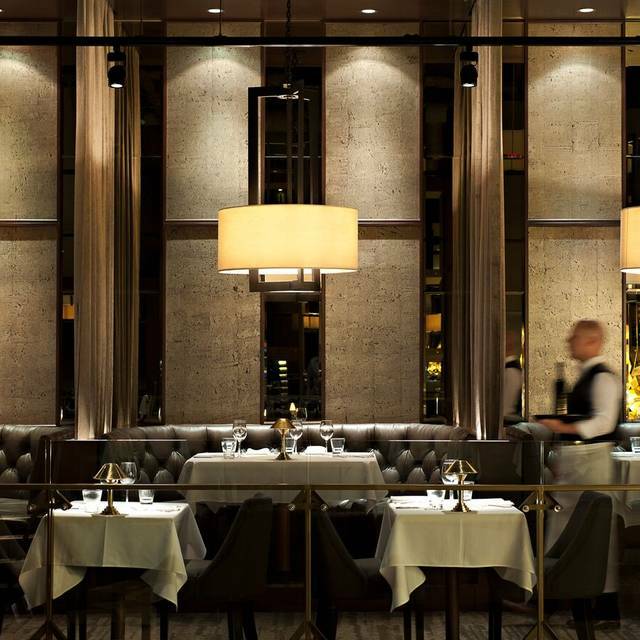 Flawless service, exquisite wine lists, and some of the most inventive, celebrated cuisine in Vancouver define every restaurant in the collection. 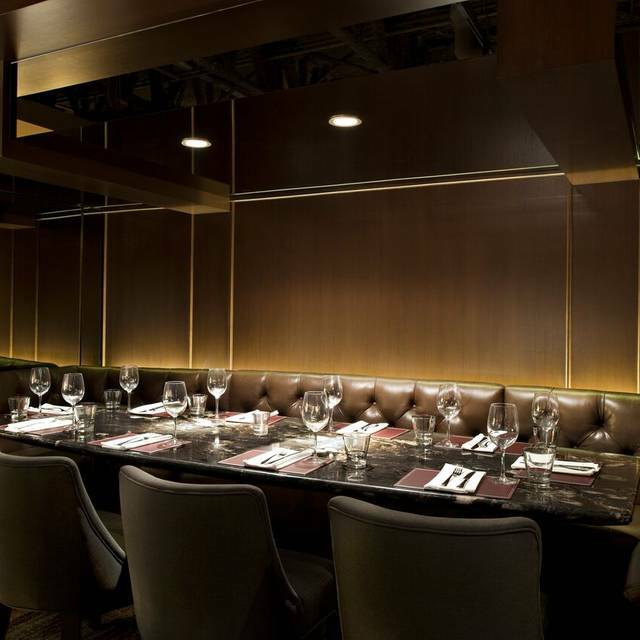 Black+Blue Steakhouse offers many options for your private dining needs. 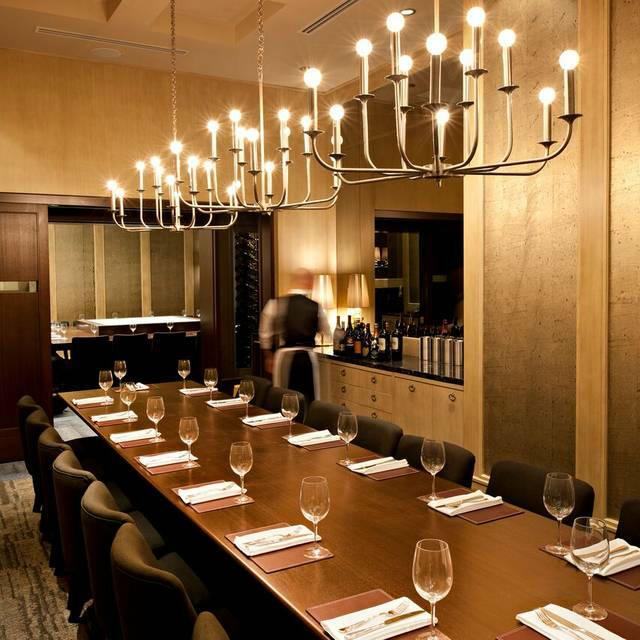 With some of the most elegant rooms in all of Vancouver, you're sure to find the perfect space for your next occasion. We proudly display our beef in the centre of the dining room. The pale pink and orange wall is made of Himalayan salt bricks that do more than just look good. The salt purifies the air & naturally removes moisture. This dry-aging process infuses an unforgettable flavour as it tenderizes the meat. All our steaks are kept in the cooler for 28-45 days; the concentration of flavour creates the highest quality product. Fantastic "20 Anniversary dinner" - service : Bob Mc : friendly / efficient / not pushy / polite / informative. Best prime rib ever ! Done to perfection .Will definitely be returning .Best environment for a nice evening and very well decorated -suitable for any size party. (eg : "Earls" is too loud for conversation) . Quality dropped over the years and business is taken for granted. They did not take into consideration that this was a special occasion and the first table they gave us was at the bar, lounge area, dark and loud. I did not feel valued. Service overall was very bad, took forever to get attention or for them to bring water when asked, bill etc. Server was overly relaxed. If I would want that I would go to other steakhouse with better price point. I enjoyed the food. Steaks are good while other food on the menu is average quality and overpriced and poor service really brings it up to the attention and desire to finish the dinner asap. We went to this steakhouse for my birthday and the service was absolutely terrible. When we entered the restaurant there was no greeting. The utensils were quite dirty(there were breadcrumbs and staining on the spoon) and when we asked the waiter to change it they acted like it was a common occurrence. We ordered a cocktail and had to wait an hour before it arrived. There weren’t enough staff on the floor and the service was quite slow. We were very upset with the whole experience and decided to give 10% for tips, on our way out we overheard the staff openly bad mouthing us on how much we’ve tipped. It was a very disappointing and upsetting dining experience. We booked a reso with Black and Blue for our birthdays because the reviews were mostly positive. Our experience was opposite of those. - server did not greet us or build rapport with table, showed up and asked what we wanted to order for food. - when asked for wine suggestions she did not know her menu grabbed it from us and suggested a 900$ bottle. - we ordered table side Ceasar- it wasn’t made table side and it was overly dressed by the manager who commented he never does that. The manager took the steak and potatoes off our bill. Service was the poorest I've ever seen. So many things I can't list. Perhaps the person was new to serving, but should have been trained before hitting the floor! We went for dinner for our anniversary and got the perfect table right by a big window behind the elevator. It was private and romantic. The food was perfectly cooked, the service was great and the drinks! Were perfect!!! I took my daughter out before the Michael Buble concert and our experience was so-so. Our table was near the staff door, the food was cold when it arrived. The server redeemed our experience somewhat by surprising us with “A Happy Buble Day” dessert. For the money, I would go elsewhere. A business lunch took 1h50 min and we only had 1 course. We enjoyed the very tasty food off of the menu full of options and a private table for two. Server was extremely passive aggressive, waited an hour to get my bill settled and grab my coat from coat check. Everytime my boyfriend and I went to the washroom, we would have to yield for multiple servers and they would not say thanks. Food was good except our potato gratin was undercooked. Need to work on customer service here. Issues with order and steak was presented before salad. The steak was sent back to be cooked to taste. The management handled the problems very well and we were pleased with the outcome. As the owner said to us "You don't pay this much for a steak and not have it to your liking." Overall a mixed feeling on this restaurant, so would probably recommend another recognised steak house before this one. Had steak and lobster. It was excellent. The service was great from Senna. She was informative, attentive, and very pleasant. We look forward to returning in the future! 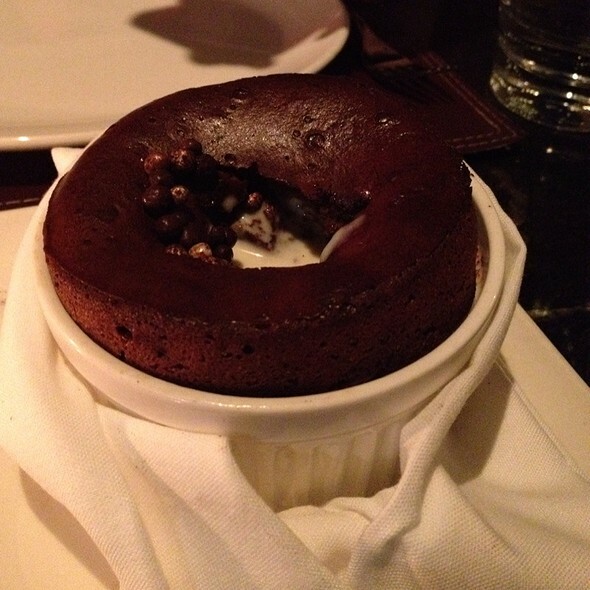 We’ve never had such an experience like we did that evening.. our server gave us the best service especially her tableside Ceasar salad was one of the best salads we’ve ever had.. Great experience for dinning there for the first time.. would love to come back & would highly recommend this restaurant to anyone looking for a good steakhouse. The best birthday dinner ever!! & still talking about it!! Can’t wait for the next occasion to go back again. We always love going to Black and Blue. The service, food, ambience is always excellent. Chris B always go above and beyond. 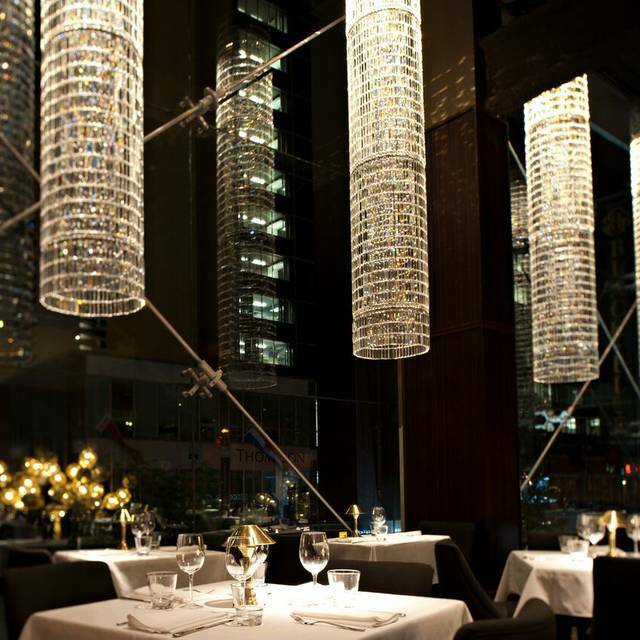 Nice foods and ambient, a bit pricey but it's good for a celebration or with friends. The steak is awesome and we love the Ceasar Salad, fresh and delicious. And they gave us a surprise as our anniversary celebration, thanks for that, we appreciate it! We definitely would recommend to everyone we know! My friend and I dined here at 6 pm on a Saturday night. We do not mind paying well for a really good dinner. We are both in the hotel industry and travel and dine out a great deal. My impression of the room was that is was very modern and interesting from an architectural perspective. You can tell that the owners spent an enormous amount of money on the decor, fit and finish. The bar plays a central role in the middle of the restaurant with a huge floor to ceiling glass meat locker display behind. Visually the room is very impressive. However, the music was totally inappropriate. Extremely loud & the music genre was more like a 20 something club than high end steak house. Generally service was mediocre. The staff seemed disorganized and both intrusive and not around when you did need them. Also, when paying $275 for 2 for martinis, 2 glasses of wine, apps & a share rib-eye steak with sides, one expects very good quality food. The rib-eye was sinewy,dry and tough.This could not have been a 28 day dry-aged steak. The sides were OK but the mushrooms were very greasy. The strangest thing however, was that they served the entree on tiny little side plates. ON a positive note, we did share our observation with management and they were very apologetic and comp our drinks. Very worthwhile experience. Your Friday promotion for beer and a burger was of great value and we appreciated the hospitality. It was a fine experience and we really liked the service from all the team members that you have. Very accommodating. All was very good...service in particular was outstanding. It doesn't get any better than this! This place exceeded our expectations in every way. The steak and the mushrooms were out of this world - some of the best I've ever had. Worth every penny. The atmosphere is fun with energy. The decor is beautiful and the food is great. I would definitely go again. Waitress was really informed about the meat choices. The salad made at our table was also a very nice touch. Very nice atmosphere for a dinner for two! I highly recommend the rib eye and caeser salad. Amazing dining experience! Fantastic food and brilliant drinks! Perfection. Scott, our waiter was friendly on point and a pleasure to work with. Lovely restaurant. We were seated along the railing and found the aisle was a little too narrow thus passerbys were to close to us as we dined. Great bartender, waiter, staff in general. Very tidy restrooms! Kudos for using linen for hand towels!! It is the best steak house that I had ever been. I worth my time and money. Everything was perfect. A true fine dining experience. Our server, Tenielle was particularly excellent! Our server, Scott, was fantastic! Excellent suggestions! We had a great time and great food! FABULOUS!!! The Roof is amazing. Food is great and TINA (server) perfect!! This is a must visit if you’re in Vancouver. Highly recommend the fresh pea salad and Brussel sprouts. The kabobs are amazing and cocktails (black and blueberry) outstanding. 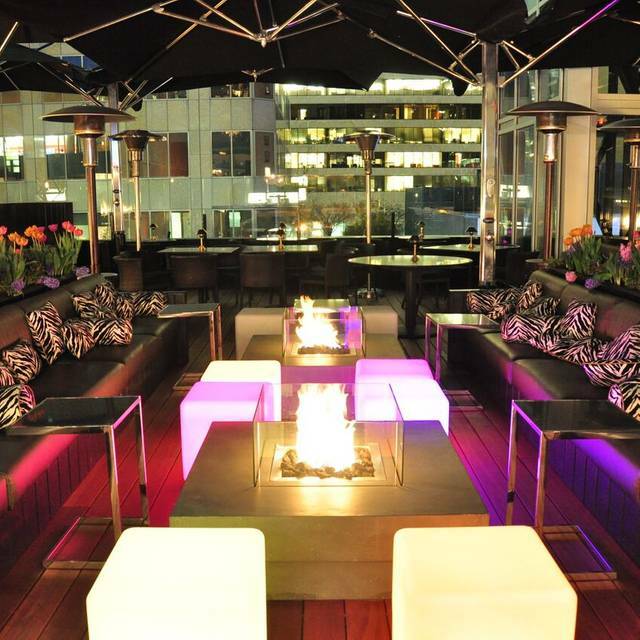 Ambience (fire and heat) on the roof deck is really special. Went to Black and Blue for Happy hour to have a buck a shuck! Great deal! Oysters were fresh and shucked well! Must of had a new bartender, cuz the drinks were better than we remember it to be! Lots of variety on the happy hour menu! But if you are gonna do the mac and cheese sticks I think I preferred the reg menu ones.... it works out to be same price if not slightly cheaper. But the service topped it all!! Awesome service by all! We went to black and blue because we hadn’t been before, and I wanted to surprise my husband for his birthday. We were runnning 5 mins late due on police incident on the road, we called ahead and notified that we would be 5 mins late from our reservation. We arrived and were seated at the bar and the hostess said she would grab us if our table became available and stated it would be 15-20mins.. we waited 40 mins for our table. Which was fine because we were late by 5 mins..
We ordered 2 appetizers, 2 main,2 sides. Our salads came, We ate them. Our main came we also ate that. Our sides never came. We got a random side of something that we couldn’t quite tell, as it was the incorrect dish. Our server was quite apologetic and stated he put our order in again.. fast forward 45 mins from receiving our main dish, still no sides.. then the manager came to us, offered us a comp’d dessert platter that would be brought right away, but didn’t mention that we still wouldn’t receive our sides. The manager then mentioned that this does not happen and is a rare occurrence, yet again, our complementary dessert platter also took 30 minutes to come out. The manager didn’t come out and apologize; our sever mentioned that our platter should have come out much sooner. We tried not to let it ruin our experience but I honestly don’t think we will be going back. The server tried to make amends by comping our appetizers, the sides that we didn’t receive, and the dessert platter that we also got quite late. We tipped our server the 20% we would have, if it had been a great experience or not, but honestly for the amount of ppl that work there, it was quite embarrassing that we spent 7:25 -10:30 sitting at black and blue, not even just hanging out, but waiting to receive our meal. We had reservations for 5 pm and asked for booth. We were denied a booth, as the hostess explained the booths were for 4 people. As we sat at a table next to all the booths, we watched as within 10 minutes they sat another couple at a booth. Over the course of the evening, we disappointingly watched several other couples being sat at a booth one after another. We just wanted to share how we were treated by Black & Blue.